Last week I found Phantom City Creative among a new batch of Planet of the Apes movie posters. 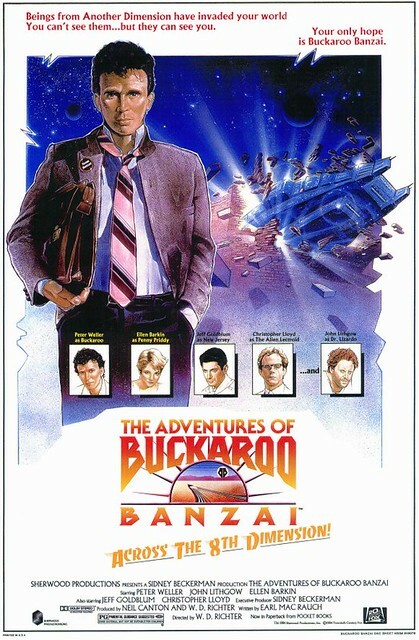 PCC also did an amazing job on this poster for the Adventures of Buckaroo Banzai! Amazing job, right down to the electric logo and the likenesses of all the movie actors. John Lithgow's expression is priceless. Peter Weller looks geeky, even though we all know Weller as a tough guy now from his recent roles on Dexter and Fringe. Here is the theatrical movie poster from 1984 when the movie was released. Everything about that jacket and tie on Peter Weller screams the 1980s. They dressed Robocop like he was Madonna's boy toy. 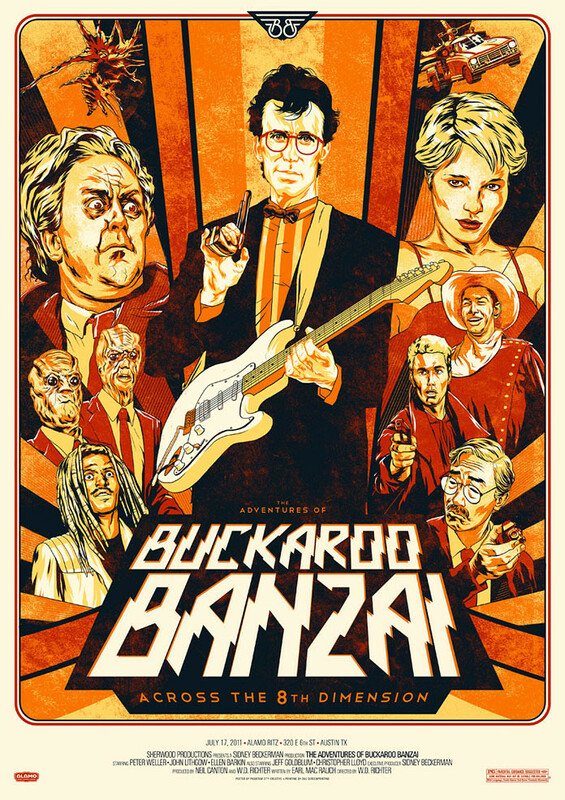 Buckaroo Banzai was sort of like an American Doctor Who combined with the pulp sense of Doc Savage. He didn't have just five amazing guys but a large team of geeks and freaks. Motifake's poster with Team Banzai is a perfect example. Nuff Said!